← Are you acting like a digital steward or a fool? If I have enjoyed any success as a writer and marketer, I need to thank the guy who pushed a broom and carried out the trash at my junior high school in 1977. His name was Larry, and he introduced me to “Hotel California,” a rock epic that has influenced me for many years. Some of the lessons I’ve learned from that six-minute song might be useful to you, too. Featuring blistering guitar work and a mysterious narrative that is part fantasy and part Raymond Chandler, “Hotel California” has captured the imagination of fans and critics for decades. 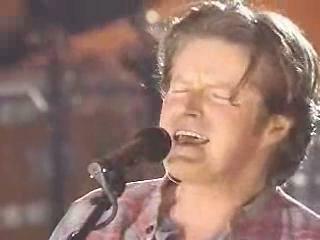 The song and the album Hotel California topped the Billboard charts for the Eagles in 1977. Rolling Stone magazine ranked the song Number 11 among the top 100 pop songs of all time. “Hotel California” has also had an enormous impact on me throughout my career as a writer, book editor, and marketing executive (including the work I do today as vice president of marketing at iCrossing). How and why? 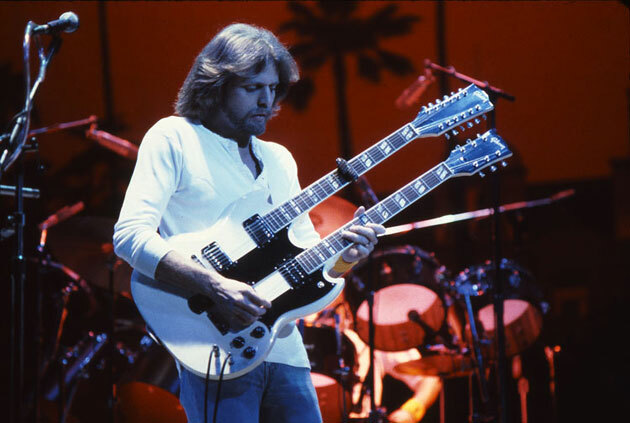 When Hotel California and its eponymous single soared to popularity in the summer of 1977, I was a lonely eighth grader living in the oppressively conservative community of Wheaton, Illinois. My family had moved to Wheaton in 1975, and with the dislocation came hardship. My parents’ marriage was unraveling before my eyes, my older brother was drifting away, and I was an outcast struggling against bullies. I dealt with the loneliness of being new by finding ways to entertain myself, whether listening to music, reading, or writing. I also earned spending money by cutting lawns. One of my customers was the janitor at my junior high school, a guy named Larry who had long blonde hair and a moustache that made him resemble Duane Allman. Larry lived in a ramshackle house on the fringes of a field south of Wheaton. The place had maybe a few bedrooms, peeling paint, a TV, and a stereo that was constantly blasting rock. About once a week, I took care of his lawn, and in return, he paid me a fair wage, but more importantly, he invited me into his world. It seemed like Larry was constantly hosting a party. Beat-up cars full of bare-chested guys who looked just like Larry and tanned girls in cut-off jeans and flimsy halter tops were constantly peeling in and out of his gravel driveway nestled amid a grove of trees. Because he lived in a secluded spot, Larry could play whatever music he wanted as loudly as anyone could stand it. When I was done cutting the lawn, I’d hang out in Larry’s house with his friends and listen to whatever was on the stereo. No one asked why a 14-year-old boy was sharing their company; since I was with Larry, they trusted me. I liked Larry. He was quiet, thoughtful, laid back, and, most importantly, he accepted me, which was important to someone who was still a relative newcomer to the community. His face looked slightly sad, which made me want to know him better. One particularly hot Saturday, after I battled the thick grass out back, I cooled off on Larry’s sofa while Larry played the entire Hotel California album for whoever happened to stumble into the back door to hang out. I could not get enough of the title track, with its foreboding opening guitar riff, descriptive lyrics, and powerful guitar send-off. Larry sat across from me, quietly smoking. Larry shut his eyes, took a drag, inhaled deeply, and stared at me. I sat quietly, feeling a mixture of embarrassment and wonder as Larry sat quietly and let the song continue without further comment. Why had I not recognized the obvious? Of course the lyrics had a deeper meaning! I wasn’t giving the song credit for symbolizing something beyond the surface-level narrative of a man who encounters a strange place and a mysterious woman after he journeys in the desert. I also realized something else: a rock song had spoken to Larry for personal reasons I did not know. Maybe the notion of being some place you could never escape connected with the pain he seemed to be carrying behind that sad face. He had internalized the song, and for a brief moment, the song moved him to share a bit of himself with me, however obliquely. When summer came to a close, I started high school, stopped cutting lawns, and never saw Larry again. He moved on, and eventually the house was torn down. But we’d had our moment with “Hotel California” and in that one exchange, he had taught me the value of critical thinking. More lessons would follow in years to come. I didn’t know it then, but when I heard “Hotel California” for the first time, I was also experiencing something I would never leave. One of the lessons the song has taught me is the power of mystery. As a writer and marketer, I pride myself in setting clear objectives and communicating with crisp, unambiguous prose. But I also believe it’s good to leave room for ideas that are open to interpretation. In fact, ambiguity can sometimes elevate communication to an art form. One way I have tried to apply the power of mystery is with the selection of speakers for events when I manage them. I usually select speakers whose ideas link tightly to the event’s theme and are obviously relevant to the needs of the audience. But I also try to select one or two speakers who create an aura of mystery: people who say and do things that you might not understand right away but who will get you talking afterward and thinking long after the event is over. For instance, when I ran marketing for Razorfish, I organized the annual Razorfish Client Summit, whose purpose was to discuss the state of the art in digital marketing. Most speakers consisted of marketing practitioners and clients who imparted tips on practical topics such as how to build your brand with social media, but each year I played a few wild cards, too. In 2010, Jay Dobyns, author of No Angel, discussed his life as an undercover agent infiltrating gangs of drug dealers. In 2009, musician Dave Stewart crowd-sourced a song onstage. In both those instances, I was willing to take a chance that an audience of marketing executives might not understand right away how Jay Dobyns and Dave Stewart were relevant to their everyday jobs. But Jay and Dave were the types of speakers who sparked lively discussions throughout the entire event. What was it like to infiltrate a gang of criminals? How do you write a song? And someone like Jay Dobyns created anticipation even before he spoke. When you have an undercover federal agent on your agenda, people start buzzing well before show time. Mystery, curiosity, and thought-provoking ideas: all those can be found in a single song. Long before the advent of Twitter, Don Henley was writing short, memorable lyrics that would make any Twitter enthusiast envious. “Hotel California” contains lines that have burned their way into my memory and probably yours: Warm smell of colitas rising up through the air . . . They stab it with their steely knives, but they just can’t kill the beast . . . You can check out anytime you like, but you can never leave (a lyric that would have become a viral sensation had we first heard it today). But the song is more than a series of disconnected sound bytes. The images connect to tell a compelling story. A weary traveler in the desert sees a shimmering light, and an unknown woman materializes in the doorway of an unnamed place and welcomes the traveler. He is apprehensive: this place could be heaven or hell. But he accepts her welcome for reasons that are never explained. From there he descends into a strange world where rooms have mirrors on the ceilings, pink champagne on ice can be had, and the mysterious woman is catered to by “pretty, pretty boys.” Eventually he discovers, too late, that he has entered a place of decadence and evil from which there is no escape. However I communicate – whether in writing or in a formal presentation – I try to be memorable. For instance, I edit two blogs at iCrossing and write for three (including Superhype). In that capacity, I try to write headlines and lead paragraphs that will have impact. When I edit blog posts written by iCrossing employees, I have been known to insert short, punchy lines that I can convert into Tweets. When I conduct interviews, I try to talk in headlines. But I never forget the importance of telling a story. When I recently conducted an interview with PSFK, I wanted to make sure I told the story of how iCrossing is reinventing itself for a new breed of CMO. When I edited Robert Pielke’s book on rock music, before I even attempted a single line edit, I first asked, “What’s the story we want to tell here? What impression do we want to leave on the reader?” Then the editing and re-writing began. My examples are prosaic in comparison to the story told by “Hotel California.” But nevertheless “Hotel California” inspires me to do better. The song tells a memorable story. It is my story, too. Long before the era of digital downloading, album-oriented artists like the Beatles, Led Zeppelin, and the Eagles treated record albums like books. The selection and sequencing of songs created a statement. 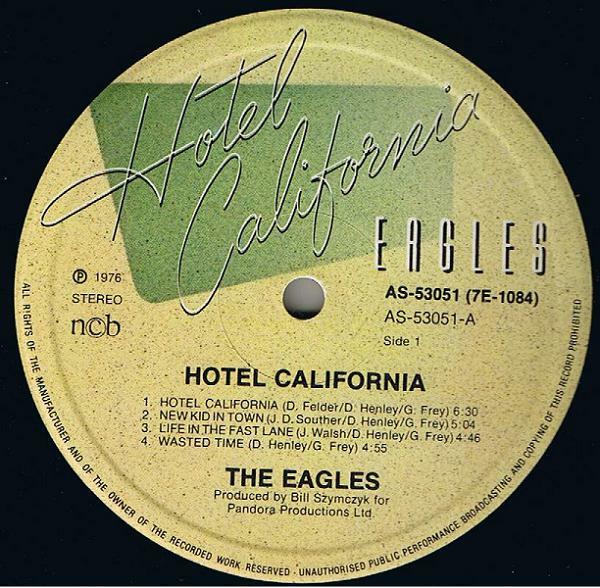 The Eagles chose “Hotel California” as the first song on the album. By placing the song first “with one of the most immediately recognizable signatures in popular music” (in Marc Eliot’s words), the Eagles created a massive halo effect. When you create a halo effect – whether you’re writing a presentation or a book – you create a strong first impression that emotionally bonds you with the audience from the start. A halo effect makes you so likable that people are more likely to downplay your imperfections. Hotel California is an imperfect album. The last song on the album, “The Last Resort,” is tedious, and “Life in the Fast Line” tries just a bit too hard to wallow in its own decadence. Those blemishes become more evident when you download the songs digitally and listen to them out of sequence. 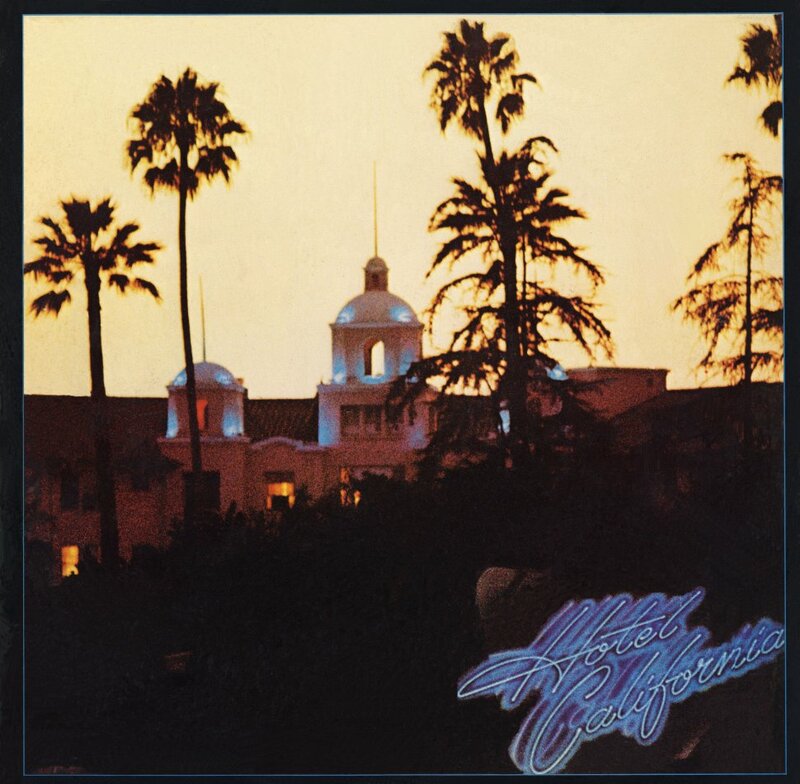 But when you listen to Hotel California straight through (a more likely scenario in 1977 before the advent of downloading), starting with “Hotel California” the weaker moments aren’t as bothersome because the power of the opening song carries nearly the entire album. The other four members of the band stood behind me . . . Suddenly a spotlight flicked on . . . My fingers tingling, I opened with the first distinctive bars of the title track, a song I’d cowritten a few months before, sitting cross-legged on the floor of my beach house with my son playing nearby. A roar went up. Nobody expected this to be the first number. They thought we’d close with it. The audience exploded. For those first few seconds, there was no sound but that of the crowd – a deafening cacophony of screaming, cheering, bellowing, whistling, and tumultuous applause. In my own way, I always strive to create a halo effect. Whether I’m editing a blog post or contributing content to a proposal, I try to draw readers into the content with strong opening paragraphs. When I organize events, I believe in starting the day with a bang (usually in the form of a provocative speaker). In my opinion, you either get the audience on your side from the start or don’t bother trying. 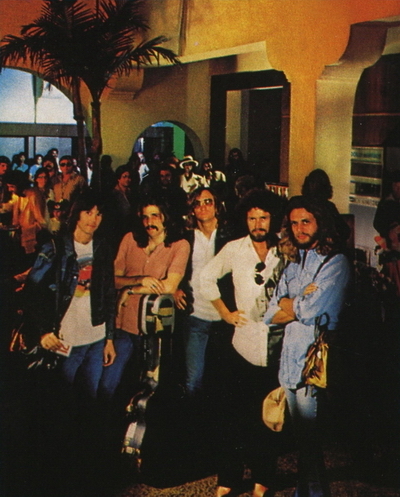 “Hotel California” is rife with many more lessons, such as the value of collaboration (the song as we know it changed considerably from its first reggae-infused draft) and the importance of remaining true to your personal vision (the Eagles successfully fought against pressure to release an edited version of the single). In years to come, I know more lessons will emerge because timeless art – and I do believe the song to be a work of art – never stops teaching you. What works of art have influenced the way you work? This entry was posted in Marketing and tagged Dave Stewart, Don Henley, Eagles, Guy Kawasaki, Hotel California, iCrossing, Jay Dobyns, Razorfish. Bookmark the permalink. Thank you! My wife and I are passing the torch to our 9-year-old daughter without even trying. Our daughter has become a huge Beatles fan just by overhearing the music we play constantly. When our daughter was just a few years old, she started digging the earlier Beatles tunes because they are so short and easy to sing, like the best kind of music for children. It\’s interesting how children gravitate to great bands like the Beatles in a natural way without being told \”This is a great band you should hear.\” The beat goes on indeed. Love the way you weave your story in between the lessons of the song. Beautiful. Funny as it may sound, the songs of Broadway often find their way into my workshops. I agree strong openings are important but memorable closings are as well. The last workshop on social media I conducted ended with \”You Can\’t Stop The Beat\” from Hairspray. Although I must admit the folks in the room were a little surprised, they soon began tapping to the beat. Thank you, Toby — very cool that songs of Broadway find their way into your workshops! On a related note: especially when I\’ve managed larger events, I\’ve always paid close attention to finding the right interstitial elements — music, brief video snippets, or other ways to inject energy into a room when the audience is leaving for break or when a speaker is approaching/leaving a stage. I spend hours sifting through music or video that provides an exciting little burst of energy for 30 seconds. As your use of \”You Can\’t Stop the Beat\” demonstrates, the right song can go beyond injecting energy and even surprise and delight an audience. I\’m sure it was rewarding for you to see people tapping to the beat — the payoff for the time you invested in finding the right song for the moment. And I also agree with you: ideally one should open strong and close in a memorable way — like Jimi Hendrix closing Woodstock. When it comes to events, the only challenge is audience attrition that can happen by the time an event closes, but the issue is manageable. Thank you again for commenting. Appreciate your thoughtful response .. and your validation. Just saw that you included the Hair sign. What fun it would be to build a biz event around a music theme. Glad I stumbled on your blog (via my stats).